Add warmth and beauty to any room in your home with a fireplace or stove from Fidelity Builders Supply, Inc and Majestic Fireplaces. 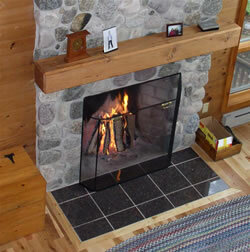 From Wood Burning to Gas and Electric, Fidelity Builders Supply, Inc offers it all. Not sure what type or style you are looking for, stop by our showroom and see on display the many different units and options available. We install! Our trained installers can come to your new or existing home and install your fireplace complete with all of the venting components you may need. Put the final touch on your new fireplace with a Mantel or Cabinet all from one source—Fidelity Builders Supply Inc.